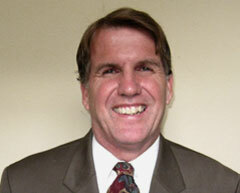 Rick has accumulated a wealth of experience in the pension and retiree medical areas in his 33 years of experience. He has been the lead actuary for some of the largest public pension plans in the country. He also has extensive consulting and actuarial experience in private sector pension plans and retiree medical programs. He has had over 15 articles published in professional trade magazines and has been a frequently requested speaker at local and national conventions. Rick is one of a handful of people in the United States who has passed all the exams offered by the Society of Actuaries and the American Institute of Certified Public Accountants. He is also a member of the American Academy of Actuaries. Rick Roeder's writing skills are also reflected in a critically acclaimed book he wrote on Rock & Roll history. Copyright © 2009 & beyond by Roeder Financial, all rights reserved.